CANBERRA, Australia. 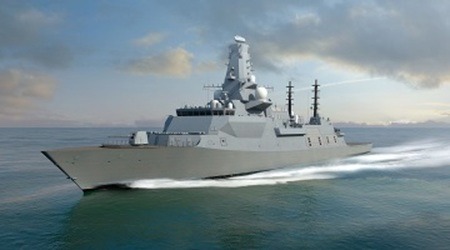 Electronics and sensor maker L3 Technologies announced that it will support the BAE Systems Power and Propulsion Team by providing the Integrated Platform Management System (IPMS) for the upcoming Australian navy SEA5000 program pursuit. 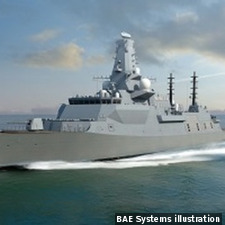 BAE Systems chose L3 to provide the IPMS, along with controls and instrumentation (C&I), for the nine Type 26 antisubmarine warfare ships proposed for the SEA5000 program; if the BAE Systems bid to the Australian navy is successful, the total value of this contract is AU$35 billion (approximately $27.4 billion). The contract is expected to be awarded in April or May 2018. The L3 IPMS enables integrated monitoring and control of warship propulsion, electrical, auxiliary, and damage-control machinery and systems; it also handles advanced functions such as onboard training and equipment health monitoring. The IPMS will be implemented in Australia through L3, supported by Australian industry, using technology from L3 facilities based in Canada and the U.K.